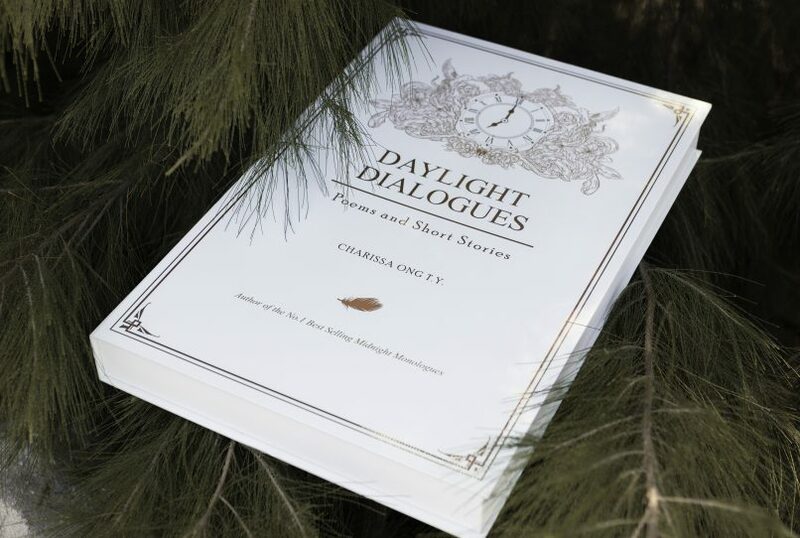 That is exactly how local poet, Charissa Ong, must have felt when, she decided to publish her own book, Midnight Monologues, after being warned it wouldn’t be successful in Malaysia and was rejected by local publishers. With no experience in the industry and armed only with a relentless will, she launched her own company, Penwings Publishing, all whilst still having to work a nine to five job. 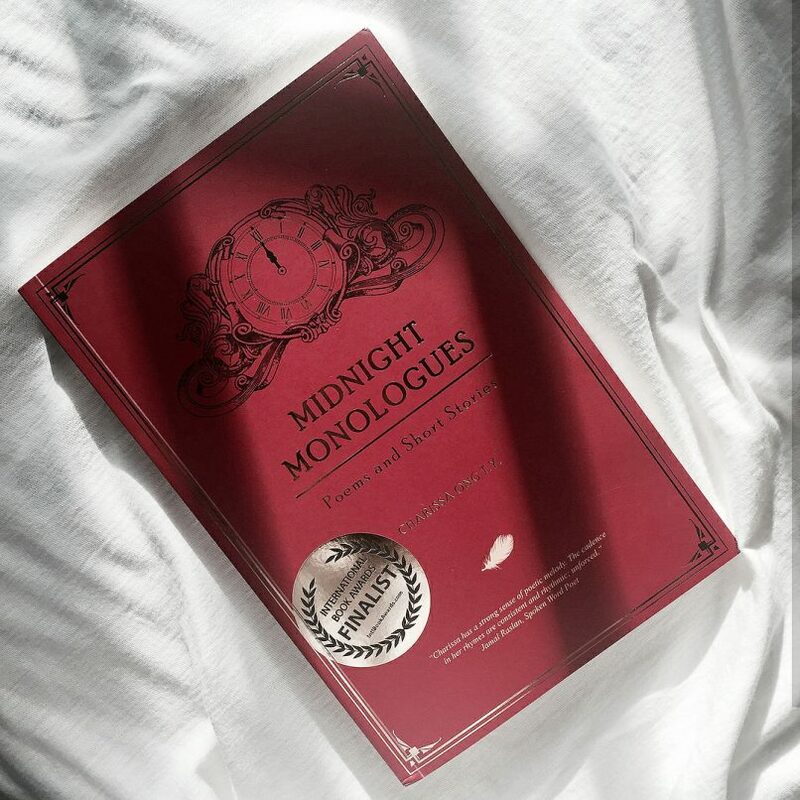 Three years on and Charissa’s Midnight Monologues has become a national bestseller, distributed in three different countries around the region and Penwings receives manuscripts daily having also published another author from Singapore. 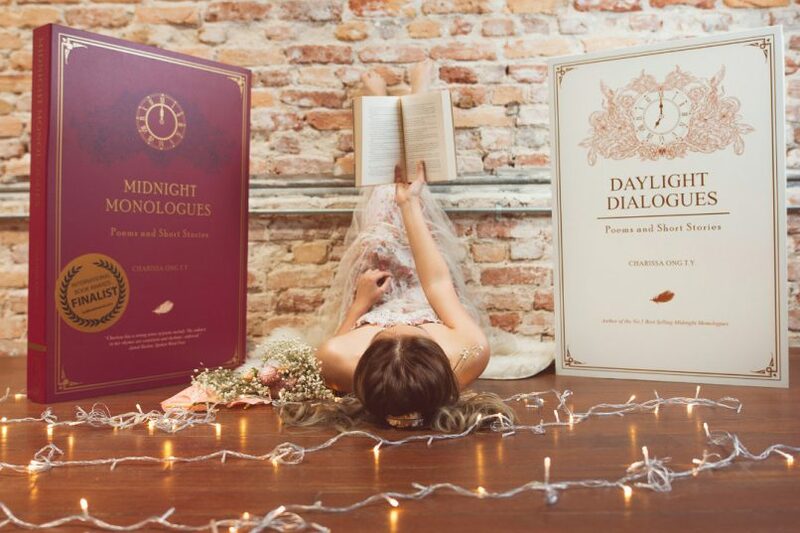 With her second book, Daylight Dialogues, having just been released, we sat down to have a chat with the 26-year-old who did it all. How and why did you begin to write poetry? I was 22 and went through a terrible breakup during college. Realising that I had dedicated so much of my time to another person for so long, I wanted to concentrate on doing something for myself instead. Emotionally, I was isolated and desperate to find other ways related to what I was going through. So after wasting hours scrolling through Instagram, I had an idea. I stole my Dad’s typewriter, painted it yellow and started posting pictures of my poetry. What started off as means of dealing with my emotional issues blew up into something else completely. The response I received was mind-blowing. More and more people began messaging me directly, telling me their stories. I was so inspired with people getting in touch that I began writing poetry about their experiences. I suddenly found that I wasn’t just writing for myself but for others too, motivating and helping them get through whatever pain they were in. Is it the curse of a poet to constantly be mired in such a state of emotion and how did you undertake all this without getting severely depressed? The process can be very taxing and even dangerous for the mind, constantly delving into other people’s feelings, putting yourself in their shoes and trying to write about what they are going through. At the same time, I won’t deny that it helps to be in a sad place. It’s when I do my best writing. I have positive things to say when I am happy but when I’m constantly bombarded by people who are telling me their sorrowful stories, it can be quite overwhelming. Unfortunately, from a marketing standpoint, the more depressing stuff sells as more people turn to poetry in times of emotional needs. As an author you have to be very disciplined — understanding that feelings are a source of inspiration and not something to dwell in constant pain. I have trained myself to jump in and out of emotional states, to tap into what I need and use it to my advantage for good writing. On a more important note, I also have a lot of genuine interest in psychology. I previously designed a cognitive behavioural app called Naluri, informing people about mental health and how to avoid thinking traps etc. So it’s always been an interest of mine and I always try to include subjects concerning mental health issues in my writing, especially to motivate my readers. There is a lot of criticism in the industry directed towards online or Instapoets. How do you respond to that? 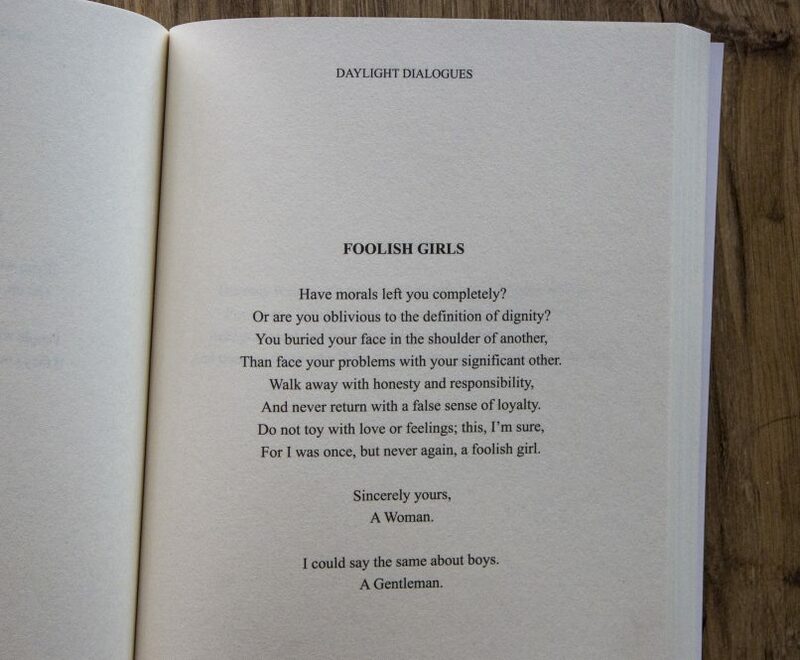 I was writing for myself to begin with and really didn’t think that so many people would reading my poetry. Only later I became conscious about the Instapoet stigma. Then again we are living in a digital age and it was only natural that Instagram became my first platform. I did start getting messages from people saying that I wasn’t a legitimate writer unless I had something published and for the most part I agreed! Among other reasons, this drove me to try to get a book published. After that process was done, I completely understood the argument. Getting published was a damn hard thing to do, even more so when you’re trying to do it yourself. Anybody can post up their work and get a few thousand views but will people actually fork out their own hard-earned money to read your book? That is a true measure of how valuable your work is. When I sent the manuscript for my first book to publishers in Malaysia, I would constantly be rejected and told not to get my hopes up especially since I was trying to break into fiction. Most publishers only deal in educational books because that’s the only thing that really makes money. Although it casts a wider net in terms of capturing audiences, has social media diluted or even ruined the art of poetry? Yes and no. There are hundreds of Instapoets in Malaysia alone and these days anything is considered poetry — just stick five nice words together followed by ‘don’t leave me’ and suddenly you will have an audience. It certainly is instant gratification for both the author and the reader. On the other hand I do think there is value to the art of poetry on social media. With so many engagements, it does highlight to the public just how important literature is. If people are engaging in those short sentences online, then hopefully they might end up reading more. The education system is Malaysia doesn’t exactly encourage reading. In fact, it makes it seem more of a chore. Malaysia has an incredibly low readership rate, one of the worst in the world. Even I used to hate reading! Embarrassingly, the first book that I ever read was Twilight when I was 14! It was so easy to understand and even then I still needed a dictionary! It’s sad (I know) but the education system here sees English as a tool rather than an art. The teaching is heavily grammar based and doesn’t encourage you to think critically. While my parents learned and read Macbeth back in their day, we were only given a condensed 100 pages of Shakespeare. So whatever encourages Malaysians to read more is a good thing. How do you balance having a day job and running your own publishing company? I’m working all the time! During the week, I’ll work on my own projects over lunch hours and then again after work in the evenings. On top of that, I work throughout most of the weekend on my writing and publishing. In order to keep my sanity, I will try to have a day off on Saturday if I can. I’ll spend it practising the erhu, a Chinese violin, or I’ll go for my pole dancing classes — for fitness! Why not do poetry and publishing full time? It simply isn’t lucrative enough. As the saying goes “there are no rich poets, only rich people writing poetry.” My company is just three years old and it’s just me and my mum who are involved. We will do everything from the marketing and PR to the proofreading and editing. Right now, I just have one author from Singapore, Timothy Joshua. I distribute books in Singapore, Philippines and Malaysia and I have a couple more books lined up over the next couple of years. Hopefully one day I can concentrate on publishing full time. What would be your advice to people wanting to write poetry? Just do it. Don’t worry what other people might think. You ultimately write for yourself and you will only get better with practice. 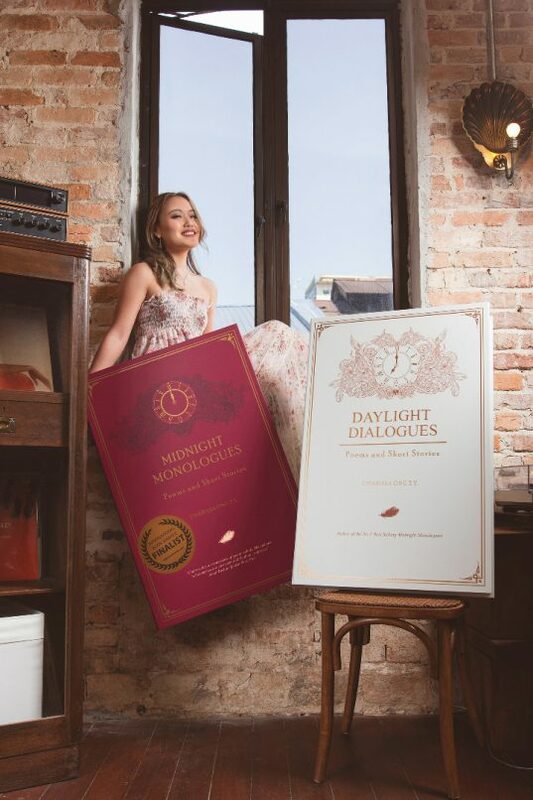 Daylight Dialogues is out now in bookstores nationwide.